This is the standard watchband when it comes to 'Haute Horlogerie'. It is a timeless classic of watchmaking, which comes with hand-tinted refined finish, a slightly pointy end and a delicately elegant domed look. This watch strap comes with two loops (one fixed and the other sliding), which ensures that it fits well in almost all wrist sizes. 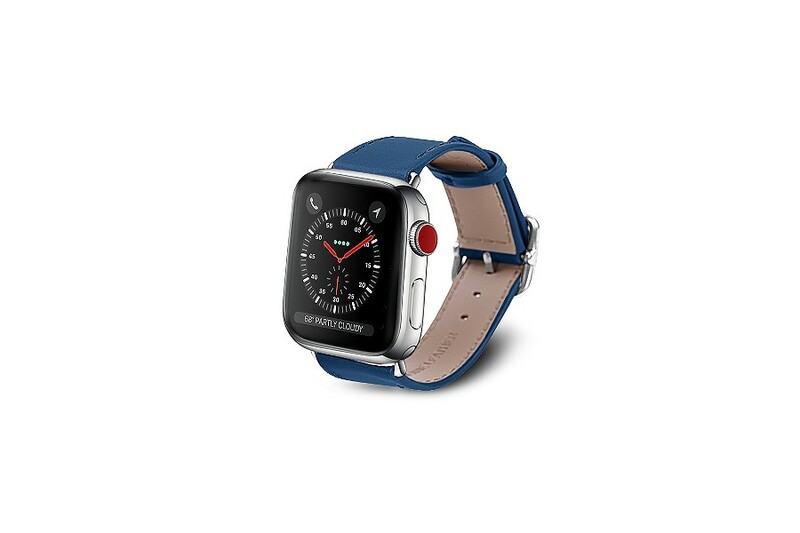 Our replacement leather Apple watch bands are delivered with their buckles and inserts, thus making the swapping of the bracelets easier. You only need to press the button underneath the watch to remove the original watchband and replace it with ours. This is done in a click! 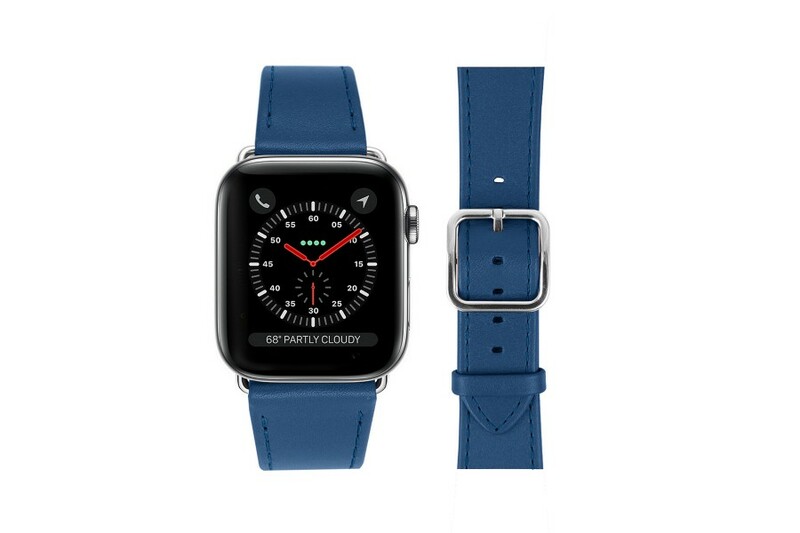 The LUCRIN leather watchband comes with a silver buckle, but you can still replace it with the original Apple one. The watchstrap has an inner hypoallergenic leather lining that provides optimum comfort when you are using your watch. 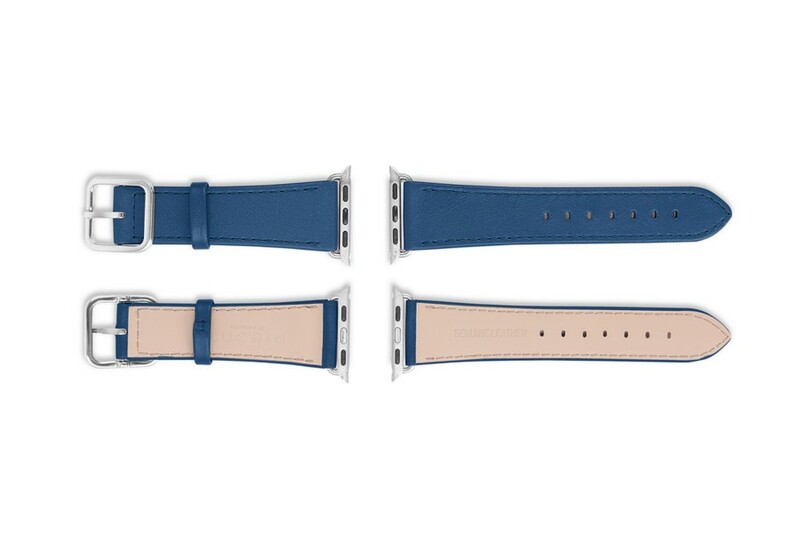 We are obviously well aware that all wrists are different; hence, we are providing different strap lengths so that your Apple Watch (Compatible with Apple Watch Series 1, Series 2, Series 3, Series 4) fits perfectly to your wrist.